Waterslide decals for three subjects and markings guide booklet. Superb quality decals nicely presented. These are very good quality decals supplied in a nice presentation format. I think that they represent good value, and I am happy to recommend them. Kagero is well placed as to produce decals thanks to its strong base as a publisher of military reference books. 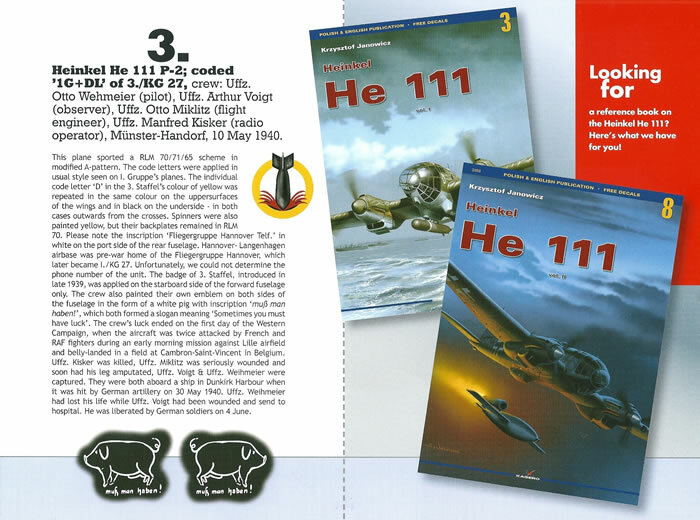 It has published several volumes on the He 111. They also offer decals in various different presentation formats. 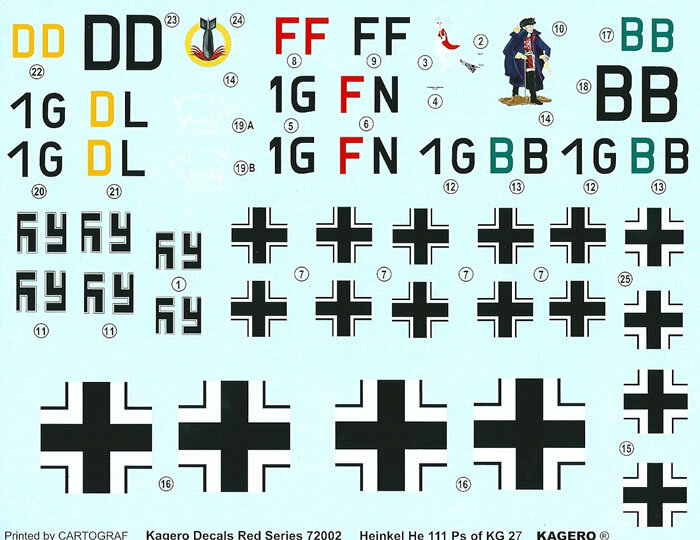 The set reviewed here is from Kagero’s Red Series and is a limited edition, although such a status applies to most decal releases. Cartograf print the decals, and their quality looks to be superb, as we would expect of this brand. Kagero’s main contribution is in the subject research and the accompanying instructional booklet. 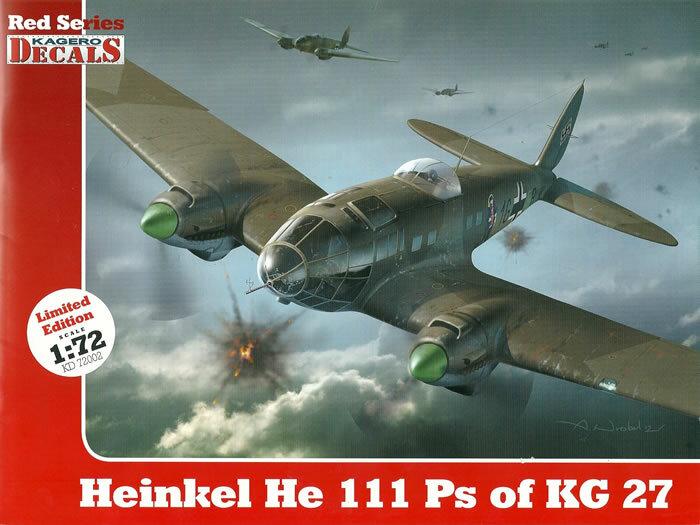 It seems a fair bet that the three aircraft selected for this decals set will have been thoroughly researched, given Kagero’s publishing expertise. The 12-page booklet is slightly smaller than A4 in landscape format. 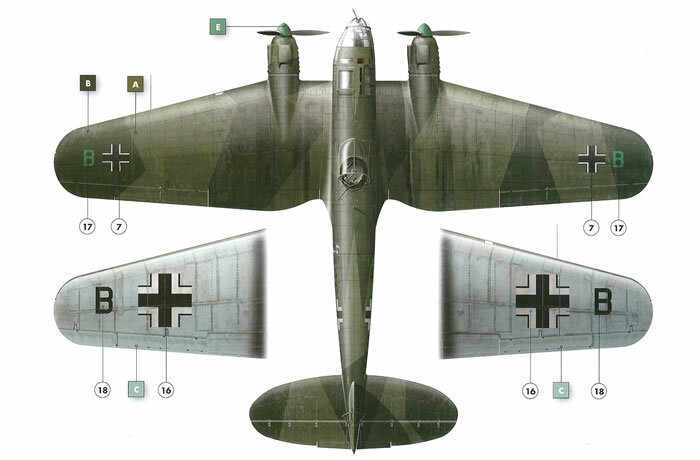 It details three KG-27 aircraft from the early war period. 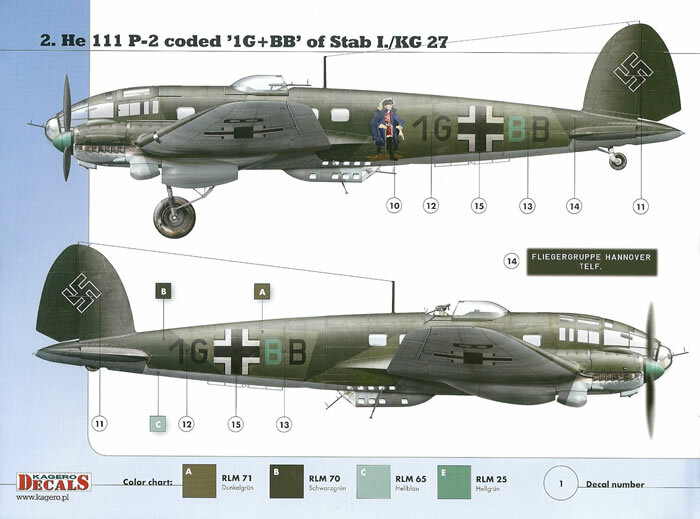 Each aircraft’s markings are presented very nicely in colour across two pages, with paint colours cross-referenced to RLM codes. The references used for each scheme are recorded in small print with each scheme. There are two photographic images of one subject in stripped down and derelict state. 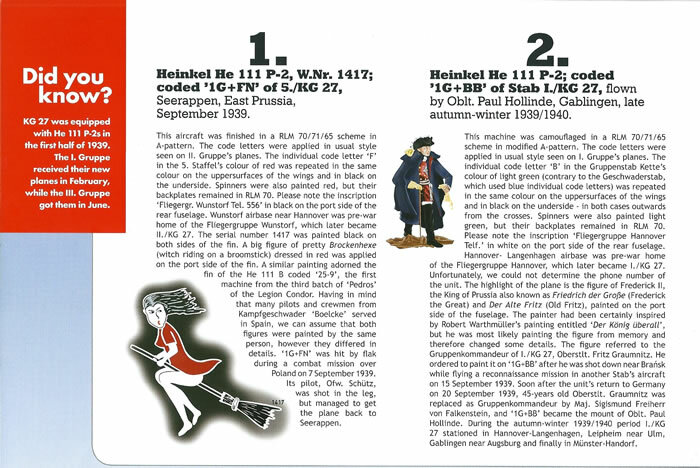 Each subject is notable for its colourful or interesting fuselage artwork; and notes on individual aircraft at the back of the booklet cover the background to this. 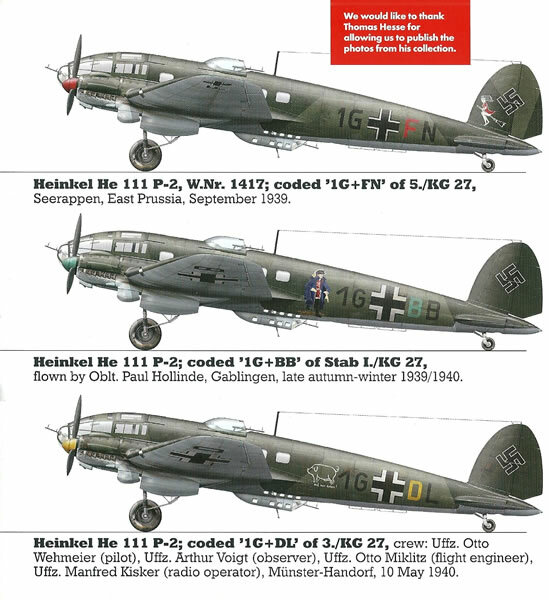 The rear page has profiles of the three subjects and instructions on how to apply the decals. Whilst my review sample is 1/72 scale, the same set is also available in 1/48 and 1/32 scale as well. Thanks to Kagero Decals for the review sample.